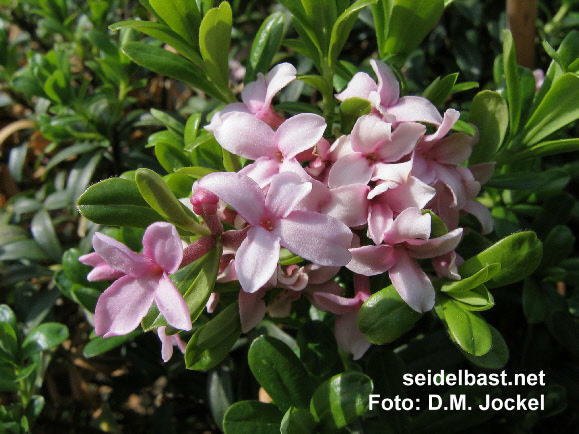 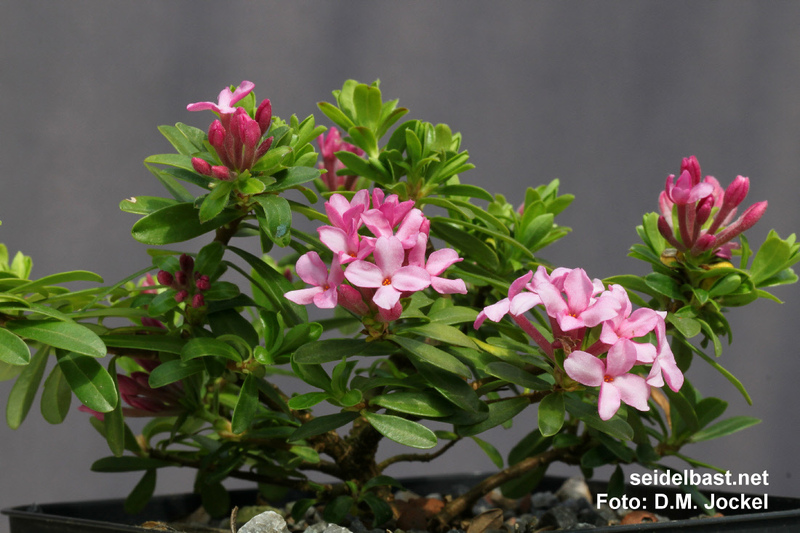 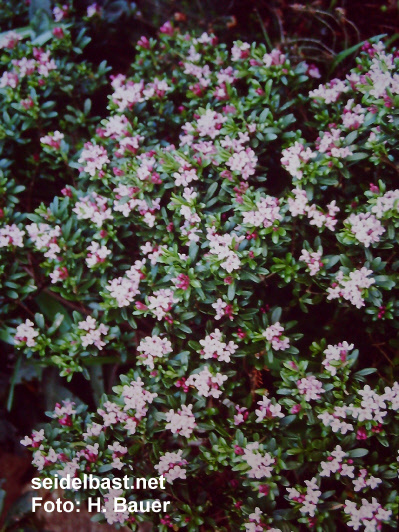 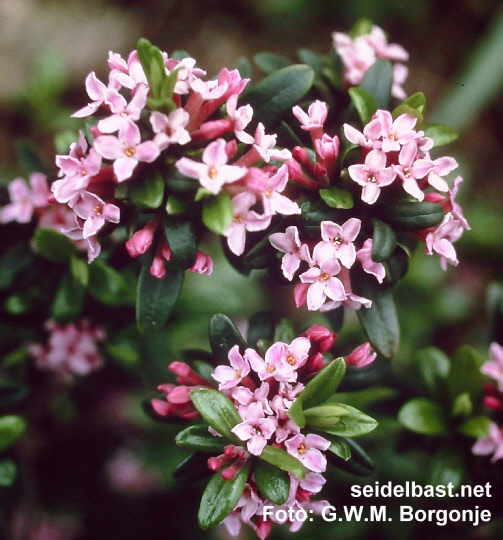 Daphne x napolitana ‘Meon’ (= D. cneorum ‘Eximia’ x D. sericea ‘Collina’), Daphne x napolitana ‘Daniel Pesek’, ‘Pink Carpet’, and perhaps ‘Stasek’, a variegated form. 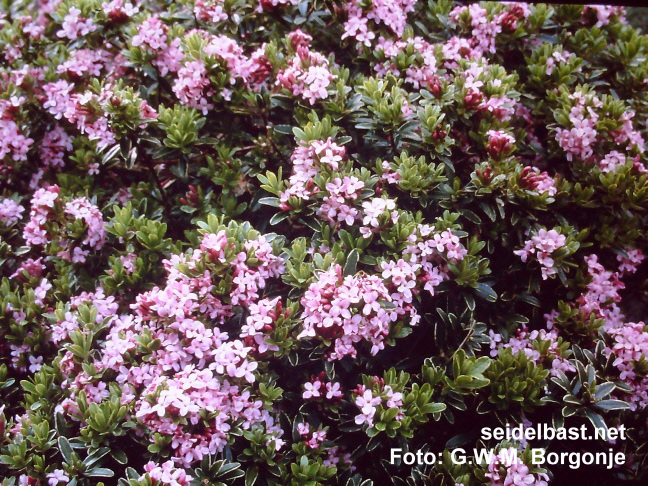 ‘Bendl Barth’ is probably another Daphne x napolitana form with variegated leaves. 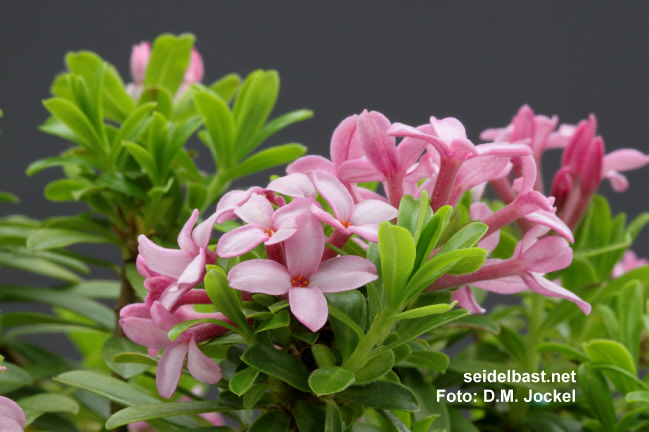 Daphne x ‘Zdenek Seibert’ also a Daphne napolitana hybrid in the widest sense.